This is a marvellous Venice view. 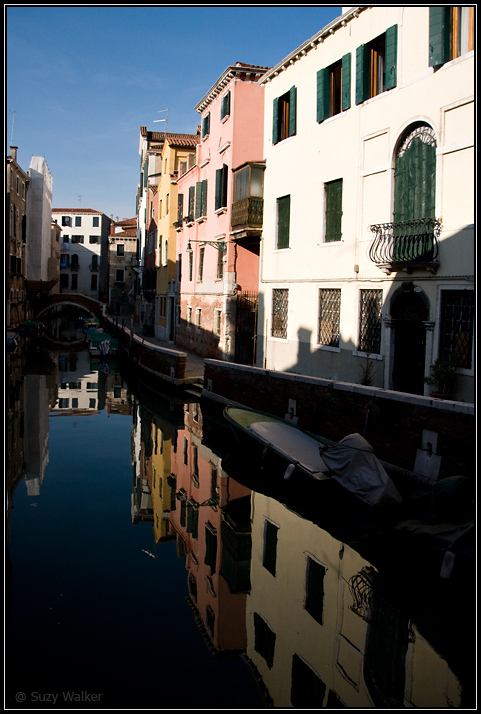 Off the beaten track, the elegant and aged architecture reflects in the serene canal waters. This is a real reminder of Venice. definitely earns a vote. This works ore as expression because you are stressing incongruous reflections here -- a world turned upside down.